Welcome to the blog tour for Tar by Taylor Hohulin! 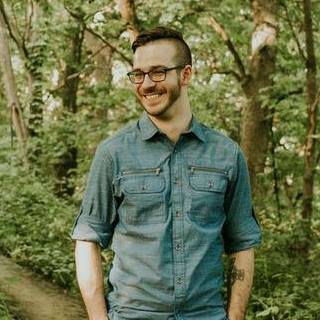 On today’s stop, Taylor sat down to answer some questions to take us deeper into the world of his book and the characters, plus giving us some more insight into him as an author and a person. Find out where to visit should you ever visit the state of Iowa. Please ask him more of your own questions in the comments! Then be sure to follow the tour to find out more about him and his book. And remember to enter the giveaway! Make sure you grab your copy, because it’s on sale for just $0.99! My books usually start with a really small idea that energizes me, and Tar was no different. This idea of a wizard with a shotgun going on a road trip just sounded like a blast to write, so I started there. I asked myself questions, like “Why would a wizard need a shotgun?” and “Where does he need to go?” Before long, I’d built a whole world around this shotgun-toting wizard, and the story just flowed from there. I was reading a lot of New Weird books at the time, so that genre-blending element came in pretty strong while I was drafting. I’m incredibly proud of the final battle between the protagonist and the villain. I don’t want to give anything away as far as how it goes, but I felt like it was a fun and exciting scene that really plays well into the overarching themes of the book and provides a nice conclusion to the protagonist’s arc. I pulled out all the stops as far as making things go nuts and over-the-top. This is a book about power, and by the end, you see two people at the height of their powers duking it out. It was a blast to write, and every pass of edits made me even prouder of the whole sequence. We’ll see. While not a direct sequel, Tar is set in the same universe as my last books, The Marian Trilogy. I’d love to pull a Dark Tower move and eventually have a book or a series that ties these and other characters together in a big showdown between good and evil, but I want to make sure there’s a good story to go with it, rather than just a vague hope to see all these characters from different books join forces. I have a few ideas of how to make it happen, but nothing incredibly fleshed out. Yet. 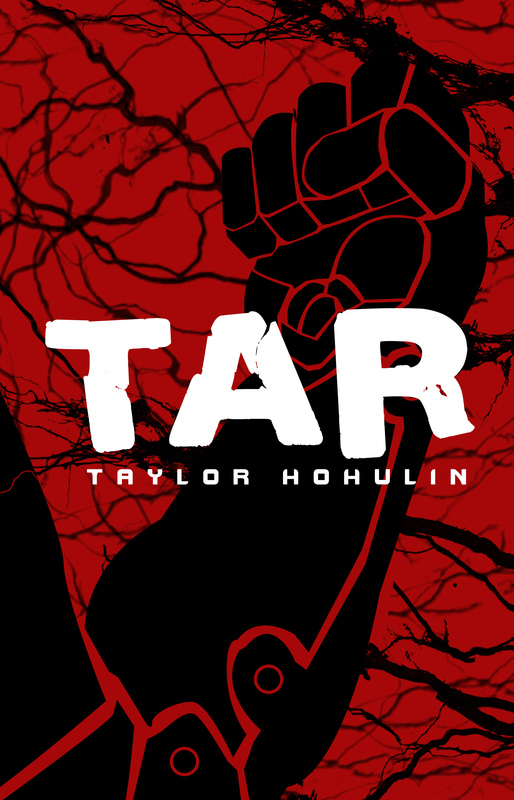 If you like books about wizards, road trips, alternate dimensions, zombies, cybernetics, and cults, with lots of action and intrigue and a few scares here and there, Tar is the book for you. It’s a bit of a kitchen sink-type story: An action-packed post-apocalyptic cyberpunk urban fantasy adventure. I mentioned The Marian Trilogy, which I finished in 2016. I like to describe it as a cross between Mad Max and Pirates of the Caribbean. Before that, I wrote an action/rom-com/science fiction novel called Alpha. Sprinkled between all of those were a couple short stories: There’s “Polaroid,” which is a short and sweet ghost story, and “The Box Is Protection, Not Prison,” which is a science fiction intrigue thriller for the fake news era. I’m hard at work on the next full-length book. Still writing about the end of the world, only this time I’m leaning more toward humor than horror. It’s been a change of pace for sure, but I’m really enjoying it. I’m reading Kraken by China Mieville right now, and it’s a blast. It’s my third Mieville book, and every time I read him I’m blown away by how explosively imaginative he is. I can’t get enough of his work. Next, I think I’d like to read the Mortal Engines books. The trailer for the movie looks so good, and the concept seems like it would be a blast to read. I work full time at a Christian radio station. I host the morning show for the first half of my day, and the second half, I work as the Program Director, which means I’m in charge of the overall presentation of the station. I choose and schedule our music, conduct research to make sure our listeners actually like the music we play, work with our (incredibly talented) on-air team to make sure everyone is pulling in the same direction, and generally have a blast all day long. I also spend a decent amount of time in the gym. Between my job and my writing, it’s nice to have something physically exhilarating. It helps me recharge my creative juices. Come to the Iowa State Fair and look at our butter cow! Every year, an artist carves a cow out of butter, because why not? There are also Iowa-themed companion sculptures that change every year. It sounds goofy, but I absolutely love it. The driver of the black car twisted his wheel hard, and the weaponized tires rolled toward Brendan’s head at ninety-five miles per hour. Samson slammed on the brakes, and the seatbelt bit Brendan’s collarbone. Tires squealed, and Samson’s car fell back a split second before the black ones collided. The spiked tires sparked and shredded each other. The vehicles tangled, swerving about the highway in tandem. Samson hung back to avoid danger, but he couldn’t do it for long. Another car loomed behind them. And so Samson lifted one hand off the wheel. As he did, the road lifted off the ground. Samson punched the gas, and Brendan’s body pressed into the seat. They raced up the rising pavement, came to the place where the road ran out, and then they were airborne. Brendan held his breath. He braced his arm against the window. The hum of the road faded away. The small vibrations of the highway’s uneven surface ceased. They were flying, the car carrying them over the carnage of the entangled black vehicles. As suddenly as they’d left it, they hit the ground again. Brendan’s spine compressed with the impact. The car fishtailed a moment, the wheels bit the asphalt, and they took off like an arrow. When he’d regained his bearings, Brendan looked out the rear window. The black cars had flipped, now lying on either end of the road with shredded tires spinning uselessly. No evidence remained of the ramp Samson had created except crumbled pavement. On sale for $0.99 during the tour! Taylor Hohulin is a radio personality by morning, a science fiction author by afternoon, and asleep by 9:30. He is the author of The Marian Trilogy, Tar, and other genre-blending works. He lives in West Des Moines, Iowa, with his wife, where they are owned by a dog and a cat. Taylor Hohulin will be awarding a $20 Amazon or Barnes and Noble GC to a randomly drawn winner via rafflecopter during the tour. Happy Friday, thanks for sharing the great post – I enjoyed reading it! What book would you like to see a movie made of?